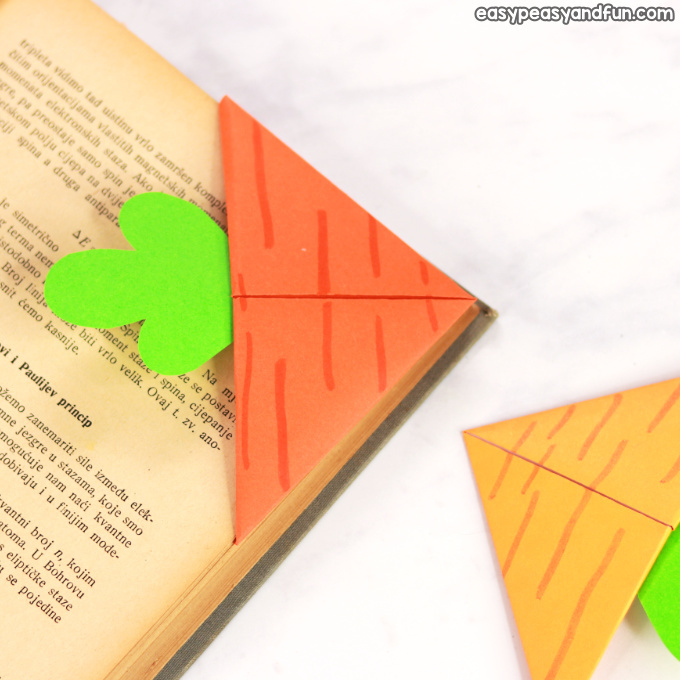 It’s time for another corner bookmark tutorial, this time, with Easter close by, we are sharing a tutorial on how to make a carrot corner bookmark. 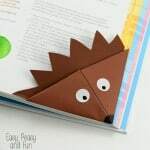 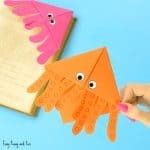 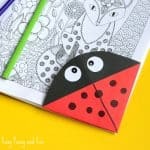 Corner bookmarks are one of the easiest origami projects so they are great for younger kids as well as origami beginners. 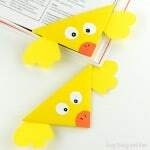 If you want a fun Easter craft to make with your kids, that can also double up as a gift to give to someone (perfect if you are making gifts for parents in the classroom), these bookmarks are certainly it. 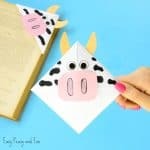 They are really easy to make and even kids as young as preschool will be able to follow the instructions you provide (they might need a bit more help with some of the steps). 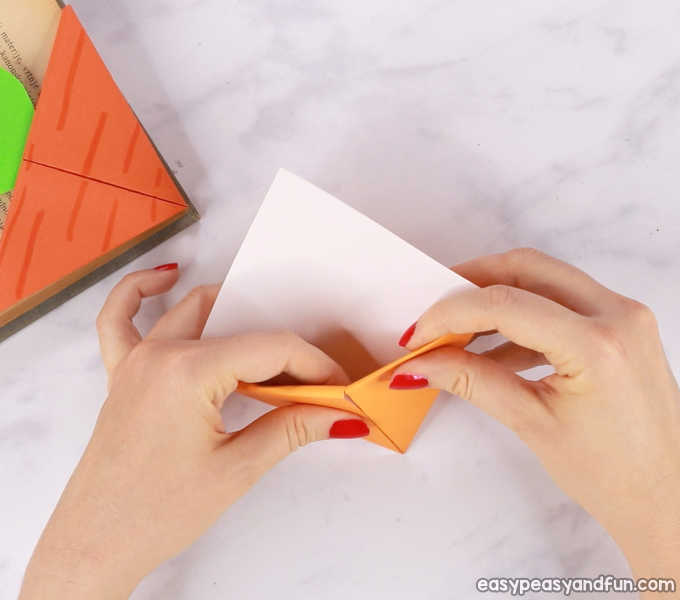 Start by folding the origami paper in half diagonally to form a triangle, with the white side on the inside. 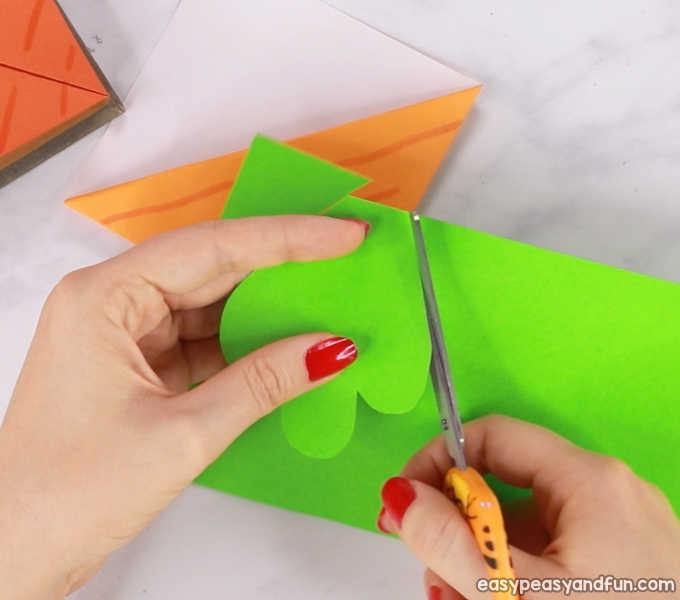 Bring the top corner (one sheet of paper only) and bring it down to the center. 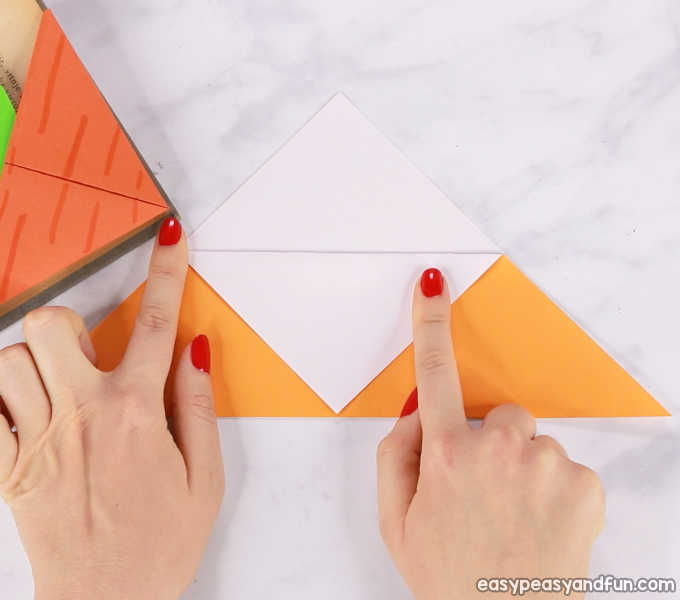 A white square will form. 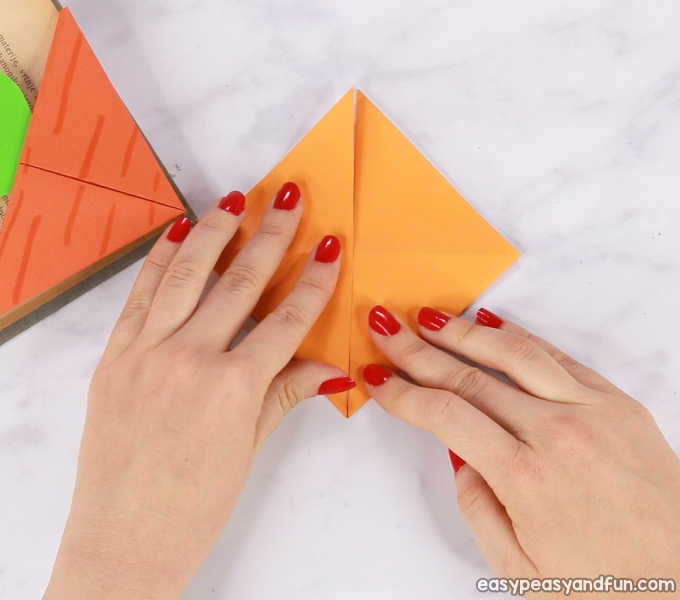 Bring the right corner of the triangle to the center, crease the fold and unfold. 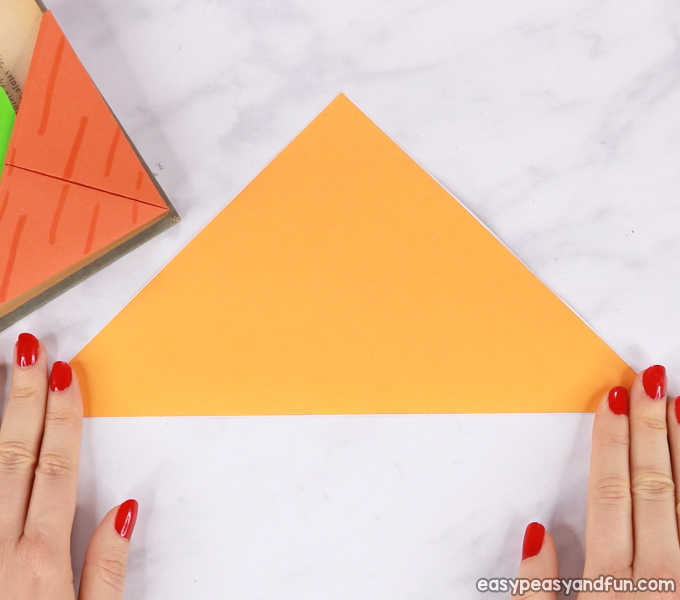 Now take those two corners again, this time bringing them to the top (crease the folds). 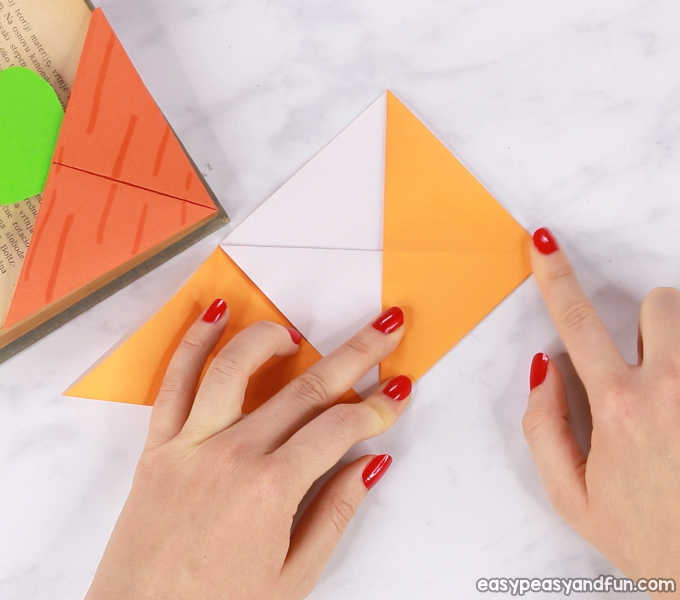 You will see a diamond shape. 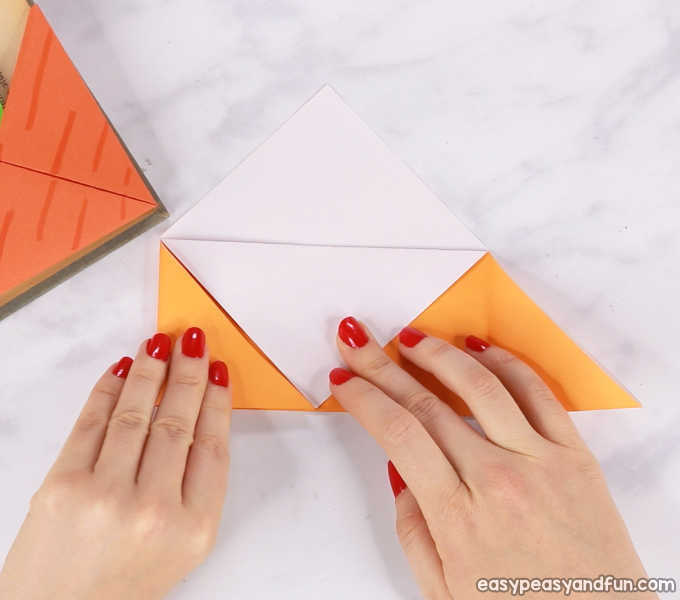 Now tuck the “corner” inside the pocket. 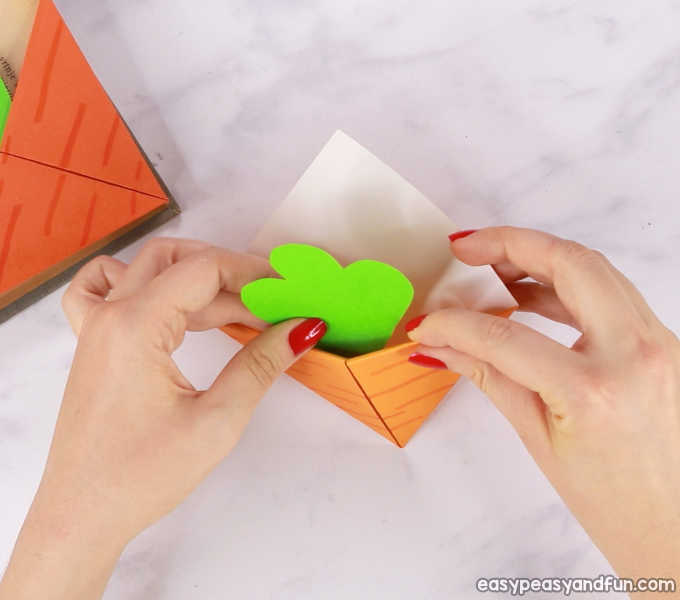 Tuck both corners into the pocket, they should go in neatly. 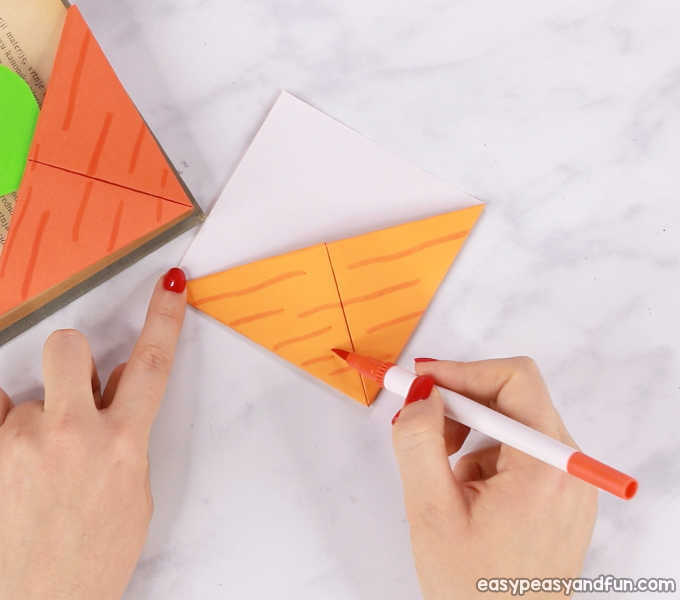 Draw lines with orange marker to get the carrot look. 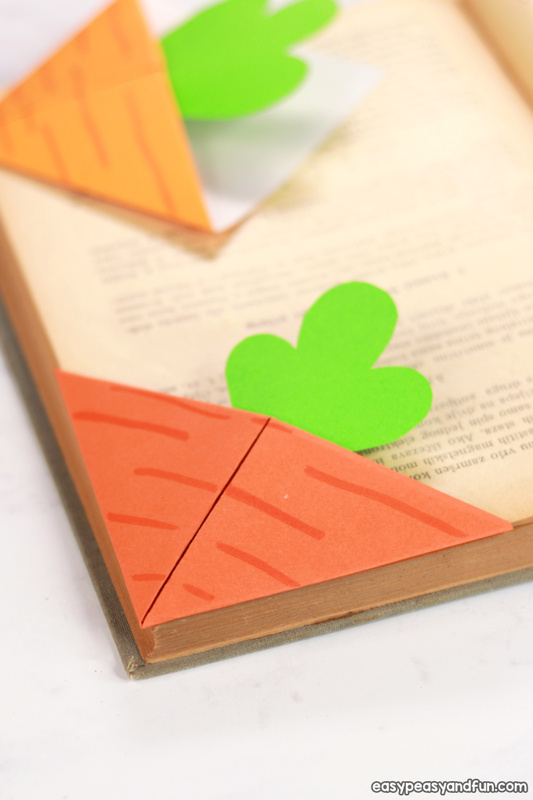 Cut out carrot leaves out of green paper. 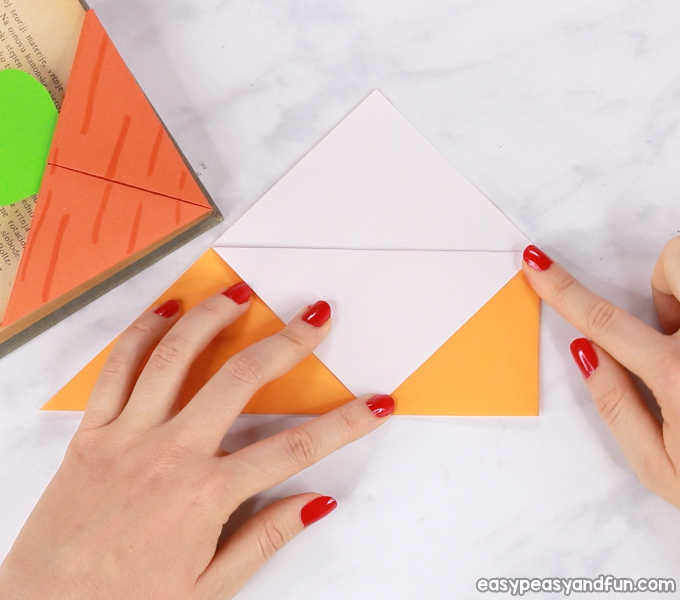 Glue them on the inside of the bookmark. 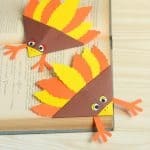 All done! 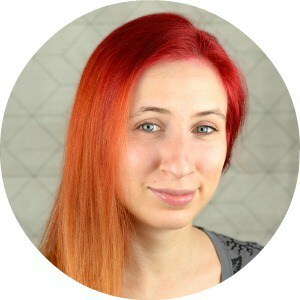 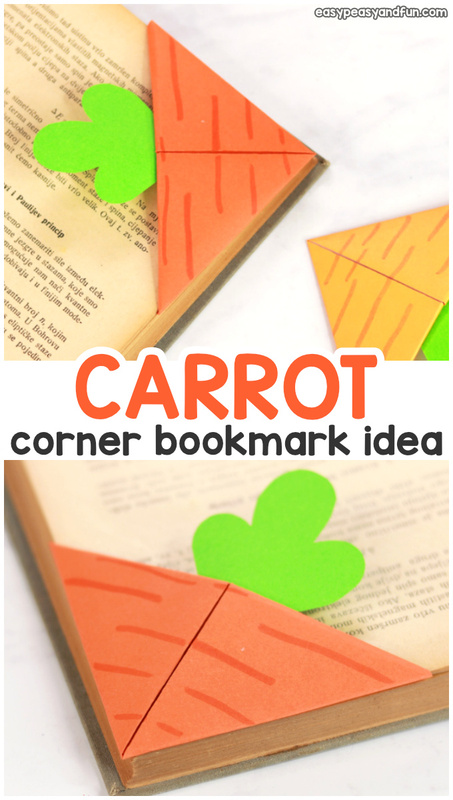 You learned how to make a Carrot Corner Bookmark.